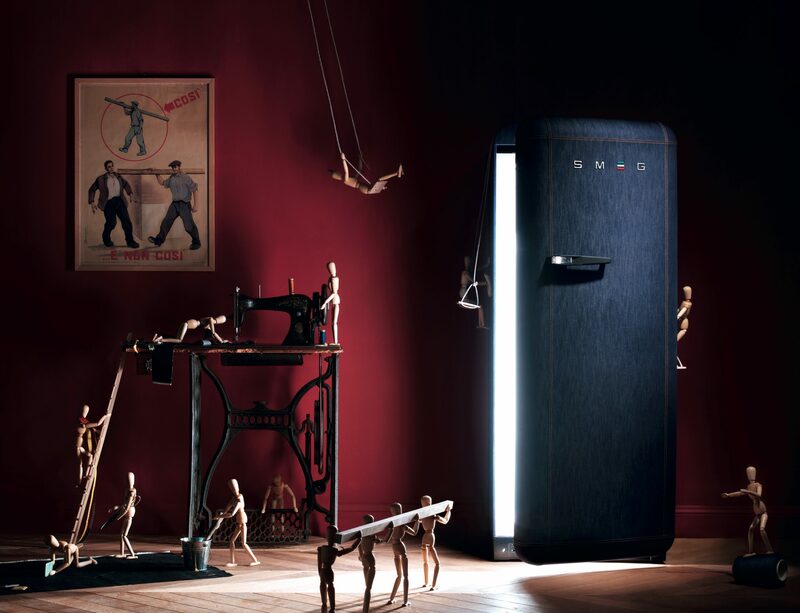 Combining the style of the past and the most up-to-date and functional technology: in this synthesis we find the creativity that Smeg and Italia Independent have sought. Denim has always been a part of everyone's imagination and communicates freshness and comfort, rebellion and style.It goes with outsaying that in order to use it in a domestic context, the fabric, itself a mix of tradition and innovation, is treated with PLASMA, a nano-technology, which protects the surface of the fridge from splashes of water, oil, milk and fruit juices. Those who nurture a passion for beautiful Italian products should take up the invitation to see this original product, a highlight of Made-in-Italy, inventive design, imagination, and originality with an element of surprise.